Pinnacle Inspections provides you with the latest and most advanced technology available today. We have been consistency working alongside with the nations largest roofing products manufacturing company. 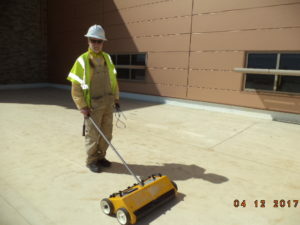 Our roof systems surveys and moisture detection methods have allowed building owners, contractors and the general public to achieve accurate and on time detection of moisture related issues. 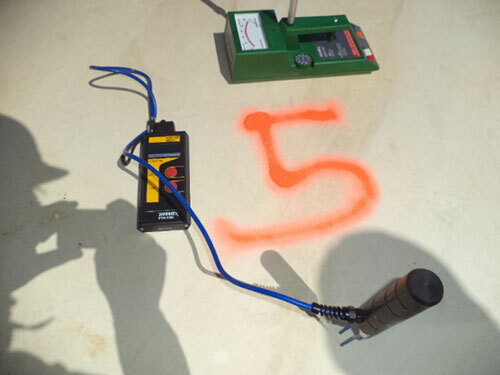 We confirm our findings of the Infrared images with the use of calibrated moisture meter systems, including the Tramex Dec Scanner and Roof Wall moisture meter systems. After finding the related issues, we then produce a detailed Report and CAD drawing which the findings for you to share with your roofing contractor, clients or others. These findings and calculations allow you to budget for repairs correctly and accurately.